Mastermind better with Mastermind Manager is a session management tool with an agenda, timer, chat, goal setting, notes and accountability tracking. Mconf is an open source web conference system built on top of (and around of) BigBlueButton. MeetingPlaza is a cloud-based software video conferencing and collaboration platform. Meets4b is online meeting software that provides the highest requirements with live chat support. 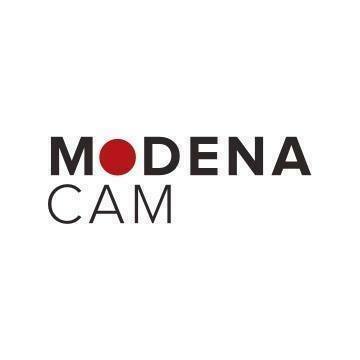 ModenaCam is a commercial script and video streaming software designed to deliver turnkey solutions for videochat portals, PPM, cam, live video chat, live cam script portals. Work together the way you need to from any device with centralized access to your collaboration tools, content and contacts. By combining the best of traditional and digital learning into one solution, onQ truly transforms the experience by causing authentic engagement between content, participants, and facilitators. OnSync is an award winning video conferencing provider that has enabled over 10 million people to experience HD video and audio conferences, as well as virtual classrooms on the web. Our white label product is a pioneer in full customizable and granular branding of a web conferencing product. Patentem is a hi-end electronic meeting system for sessions and votings that complies high standards and requirements of the public and corporate sector. System corresponds to the needs of state, corporate and social sector. Patentem very fast will become one of the key instruments for work of your organization, because its main purpose is to provide comfortable holding of meetings at all stages in accordance with all regulations for all types of user profiles by using advanced it-solutions and state-of-the art hardware products. Patentem provides state-of-the-art instruments: 1. Paperless technology for remote collaborative work on formation of agenda and holding of meetings; 2. Unsurpassed integration with conference systems for performing the Chairman’s functions during a meeting in the simplest way: quorum control, management of speakers and voting has never been more comfortable; 3. The meeting may take place in different modes - in a complete transparency (on-line broadcast of the video and publication of result of voting on the website) and complete secrecy (complete autonomy of the system from external influence); 4. Mobile apps for immediate access of all participants of a meeting to up-to-date information; 5. “All-on-one page” for Operator’s functions - management of microphones, cameras, lift mechanisms, display accompanying information on information screens - everything in one convenient module; 6. When meeting is over, formation of electronic minutes will be done automatically. Record and Stream Services enables you to easily and affordably record and share video meetings or video calls either on demand or live, as well as store those videos in a secure cloud account. QLIPS is a web-hosted SaaS web meeting service for higher efficiency in online meetings and it offers a web meeting experience with its integrated 3D audio feature. Record & Stream is a call recording software that is a cloud SaaS for video sharing and recording. REC.VC is a web conferencing software that enables the opportunity to record and stream meetings and events with ease. Richcall is a video chat software that improves customer experience with co-browsing, text chat, and file sharing. It helps companies improve sales via face-to-face communication and product demonstration. A smart video meeting with recording and transcription. Samba Live is Digital Samba's answer to antiquated Flash based and download-requiring web video. Built from scratch with HTML5 & WebRTC, the Samba Live videoconferencing platform enables organizations across industries to hold video meetings, webinars, trainings, and events in HD video & audio right from their browsers. It is the only webRTC platform of it's kind to offer full white labeling and unlimited licensing as a part of it’s core product. Shindig offers turnkey solution for online video chat events. SMART offers interactive displays, whiteboards, and video conferencing systems for team collaboration. Solaborate Messenger is a cross-platform messaging app. Helps teams to make regular video check-ins from any timezone in the world. Streem is the top choice for companies committed to providing an exceptional customer experience, improved team communication, and with the desire to shape the future of their industry. Create your personalized video chat room and share this URL with your friends. Video call from anywhere with just a link. The Conference Group delivers audio, web, and video conferencing and collaboration solutions. The MobileDay App is a one-touch conference call dialing app that works with any conference call bridge. ThinkRTC increases websites engagement & retention by making it easy to integrate Real Time Communication tools with no hard coding required. Thirdlane Connect is an application that provides your team with chat, voice and video calls and conferencing, screen sharing, file sharing, CRM and application integration. TokBird is an online web conferencing software that easily connects users for webinars, web conferences, meetings, etc. Unlimited Conferencing offer web and video conferencing. Vectera hosts video conference rooms for each of your clients. All communication and shared content between you and the client is stored and always available. For you, your client and your team. VEEDEEO is a virtual meeting room solution for video conferencing. Verrex designs, integrates, installs, services and supports complex conferencing and collaboration systems globally. VIA3 provides web collaboration, online meeting, web conferencing, and video conferencing applications. irtualBoardroom is a secure board portal software which allows you to collaborate with others in the compilation of the board pack and then to share that and other key board information with directors. Walkabout Office is a virtual place for online collaboration. XB Chat is an easy-to-use WebRTC solution based on the OpenTok platform. It allows users to create and hold video calls, audio sessions and text chats. XB chat is compatible with desktop systems (Mac/Windows) and operates flawlessly in Chrome, Mozilla and Safari. A free video conferencing service with an indirect earnings business model. Features secure video calls, screen sharing, text and file exchange, recordings, rooms API, white label possibility (custom domains, custom color schemes), localizations. Yack.net combines automatically transcribed calls with instant messaging. Make calls from your web browser, Yack.net apps or phone dial in. Zang Spaces is a cloud-based team collaboration and meeting app.